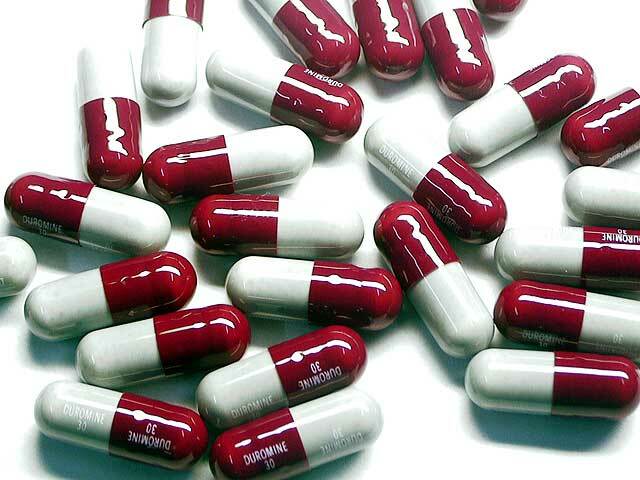 Duromine is a Phentermine based diet pill that is only available on a doctors prescription. Typically a Doctor will only prescribe in cases of definite obesity. Duromine slimming tablets are diet pills prescribed for the treatment of obesity and are only available with a doctors prescription. Duromine is a Phentermine based scheduled medicine that can cause serious side effects for some individuals with high blood pressure and heart problems. If your doctor has not prescribed these tablets directly to you do not be tempted to use them for weight loss or any other purpose due to the negative side effects that you may experience. As mentioned above, the main ingredient contained in Duromine is a substance called Phentermine. 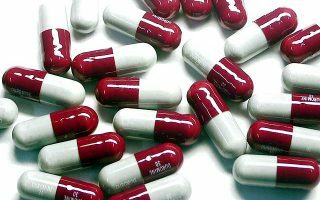 Phentermine was freely available without a doctors prescription in most countries prior to 1998 and was probably the most famous of all slimming tablets ever on the market. Phentermine based diet pills such as Duromine, Adipex, Phentermine and Fen-Phen, just to mention a few, became extremely popular due to rapid weight loss results and due to the “feeling good” sensation that they produced. Phentermine based slimming tablets belong to the Amphetamine group of medicines and are as such stimulants and are similar to the party drugs commonly called “Speed”. Now if your children were to come home and tell you that they are using speed to get high at parties you would probably send them straight to Rehab or for counseling. However when you use a Phentermine based slimming tablet you are in fact using a product very similar and just as dangerous as “Speed”. Duromine causes the hormones nor-epinephrine and epinephrine to be released in the brain. Nor-epinephrine is responsible for reducing appetite while epinephrine assists to break fatty chains down and make them easily converted to energy. While this is great for weight loss and is the reason that Phentermine based products produce such great weight loss results there are functions of these two hormones as well. Nor-epinephrine when released into the brain creates what is called the fight or flight response. This is the normal response that you will experience when in some sort of danger and in the wild it is the response that would cause you to either stand and fight or to run for your life. The effects of this fight or flight response is an elevated blood pressure, increased heart rate, increased energy, palpitations etc. Epinephrine is the fancy name for what is commonly known as adrenaline. Adrenaline amongst other functions helps to break down resistant fatty chains in your body and make them easily available to be converted to energy. Adrenaline junkies are people who exist on the “Rush” experienced when facing dangerous situations such as found in extreme sports. Each rush of adrenaline provides an excitement and euphoria that becomes addictive which is why adrenaline junkies live solely for the next dangerous escapade. The rush of adrenaline caused by using Phentermine is just as phsycologically addictive and causes dieters to begin to crave the next dosage and adrenaline rush produced. The side effects of duromine are essentially the same as those found in Phentermine due to Phentermine being the main ingredient of Duromine. View the Phentermine side effects.